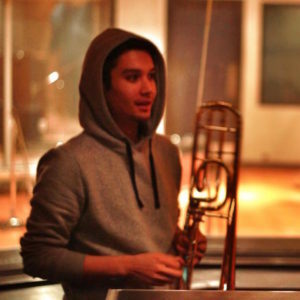 Marcus Torres is a Professional Trombonist from Central Florida. Marcus has been playing trombone for 16 years, 6 of those years professionally. His schooling started at the age of ten, majoring in band, orchestra, vocals, and jazz. After high school he started studying privately with Dr. Brian Brink (Director of Jazz Studies) at Florida Southern College. In 2012 he moved to Los Angeles, where he started freelancing with multiple bands of all genres. In the past 4 years he has played with bands and artists such as The Big Band Theory, Flight 484 Big Band, The Verdugo Swing Society, The Brasstronauts, Cumbia Son, Son Guajira, Thurz, Tiron and Ayomari, ICONIC, Lucid, The Tyler Denning Band, Sound Check at Lucky Strike, The Bolly Boyz, and of course THE POSSE! He has played for studios such as Red Bull Sound Select, NRG Studios, and Conway Studios. 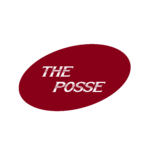 Marcus’ main goal as the trombonist for The Posse is to bring the FUNK, and to bring it hard.